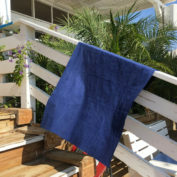 After comparing and testing dozens of brands, sizes and types of travel towels, we have finally found the best travel towel. 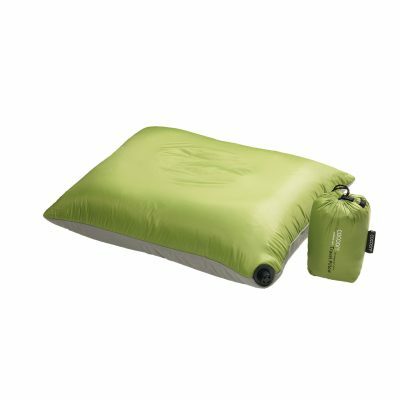 The microfiber towel Packtowl UltraLite is ultra light, packs down very small and dries off well too. 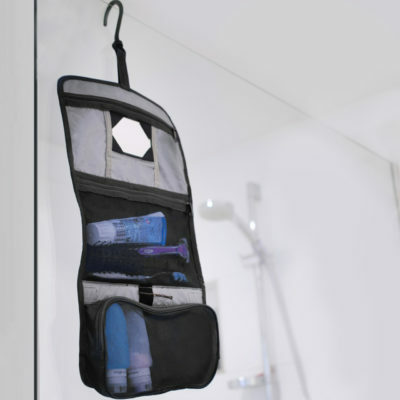 When it comes to full-size travel towels, the Packtowl is the lightest one out there! It absorbs loads of moisture and dries out in a flash! We think this microfiber towel is the ultimate travel towel of its kind, due to its characteristics, low weight and packing size. 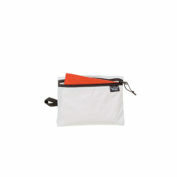 We sell the Packtowl UltraLite travel towel in a size 64 x 137 cm and a size 42 x 92 cm. 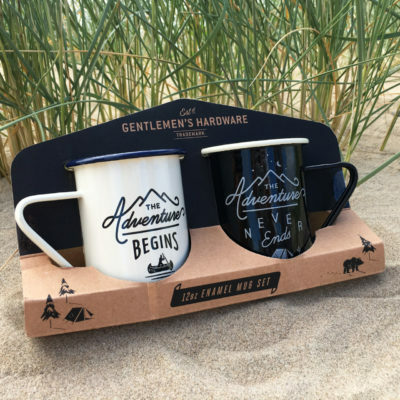 The perfect size for drying off after a shower, at the pool or even to take to the beach. Are you looking for something more like a beach towel to stretch out on? In that case, we recommend a hamam towel. 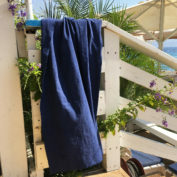 After comparing and testing dozens of brands, sizes and types of travel towels, we have finally found the best travel towel. 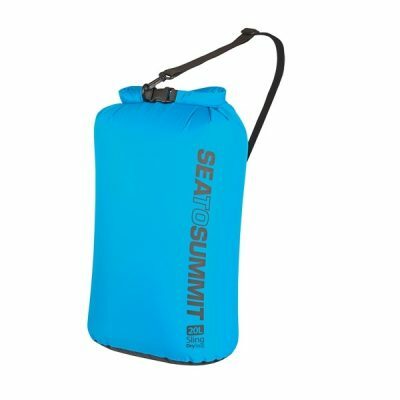 The microfiber towel Packtowl UltraLite is ultra light, packs down very small and dries off well too. It absorbs loads of moisture and dries out in a flash! We think this microfiber towel is the ultimate travel towel of its kind, due to its characteristics, low weight and packing size. If you are looking for a lightweight travel towel, then a microfiber towel is a good choice because it’s fast drying. But beware, not all microfiber towels are equal! Not all of them are equally light in weight and certainly not equally compact. 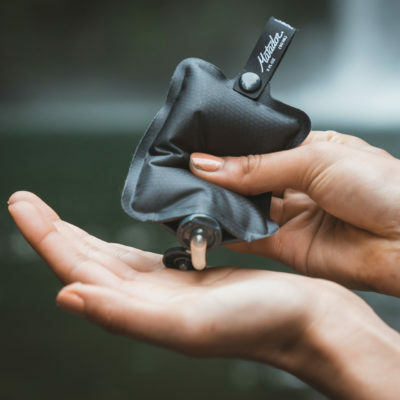 The Packtowl UltraLite weighs only 96 grams, which means it’s the lightest full-size travel towel available. At the same time, this microfiber towel can be packed away really compactly in the storage pouch that comes with it (zippered!). This travel towel is also ultrafast-drying. 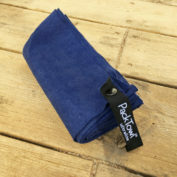 The Packtowl microfiber towel dries up to 80% faster than cotton towels. 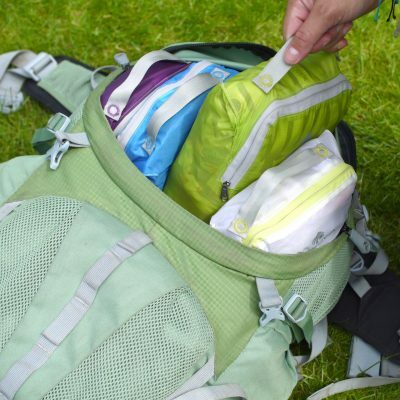 The Packtowl UltraLite is a quick-drying towel that also feels great. Considering the fact that it’s a microfiber towel, it dries off pretty nicely. Unlike some other microfiber towels that make you feel like your drying off with a dishcloth. Would you rather not use a microfiber towel? 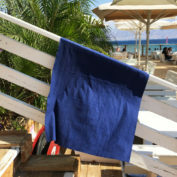 Then the Hamam towel XS might be more your thing. 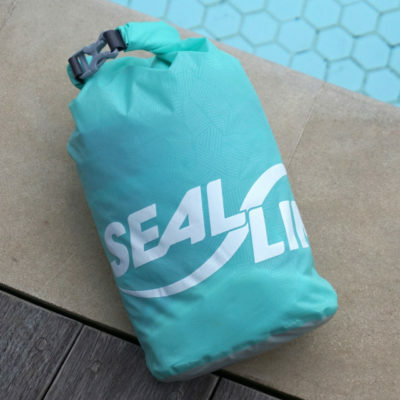 It’s also really lightweight and easy to pack, but it’s slightly less absorbent than this quick-drying travel towel. 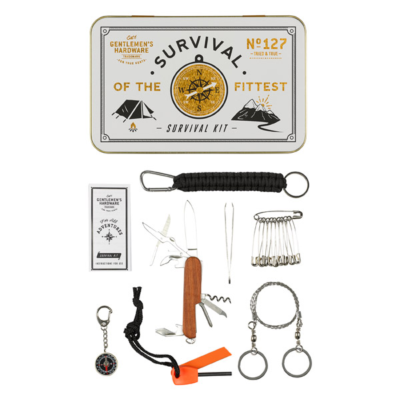 We sell the Packtowl UltraLite travel towel in a size 64 x 137 cm and a size 42 x 92 cm. 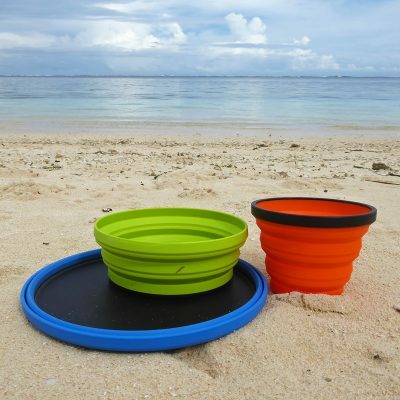 The larger size is perfect for drying off completely after a shower and can even be used for sitting on at the beach. 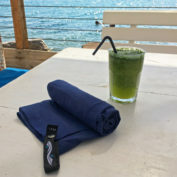 The smaller travel towel is perfect if you use the towel as an addition to a hamam towel.